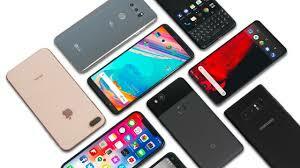 Cell phones, iPods, iPads, etc., etc., have made our lives easier and more convenient, but we need to be careful about the electromagnetic energy that is emitted from them. Especially when we are sleeping. Sleep is when our body is rebooting and we need to take the stressers away so it can recharge. If we are charging our phones or other electronic devices next to our bed, our body doesn’t get the break it needs. Plug them in the bathroom or den and give your mind and body a break! For more information, Check out this article.